This is one of those simple classic dresses that will make a big impact--and it comes in 3 color options for you to choose from. The Neysha A-Line Dress is lined at the bust only. It is made of a unique textured cotton blend fabric with a linen feel to it. 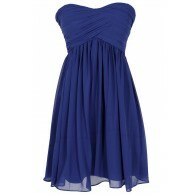 It has a V neckline, wide shoulder straps, an empire waist, and an A-line cut. A hidden side zipper completes this dress. The Neysha A-Line Dress is perfect for any party or event. Pair it with wedges, pumps, or strappy heels and some pretty jewelry. Details: Lined at bust. Hidden side zipper. 70% cotton, 30% polyester. Lining: 100% polyester. Hand wash cold water separately. Color will bleed. No bleach. Hang to dry. Small measurements: Length from top of shoulder to hemline: 36". Bust: 33". 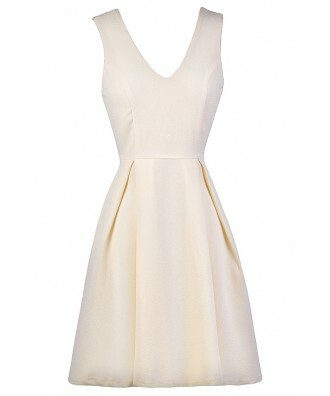 You have added Neysha A-Line Dress in Cream into Wishlist. 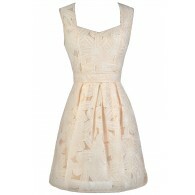 You have added Neysha A-Line Dress in Cream for Stock Notification. 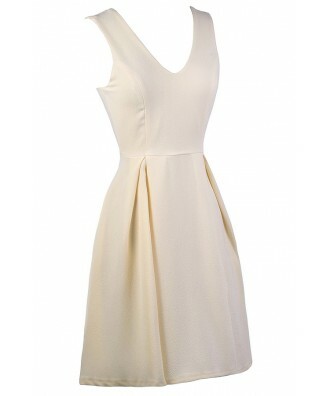 You have set Neysha A-Line Dress in Cream as a loved product. 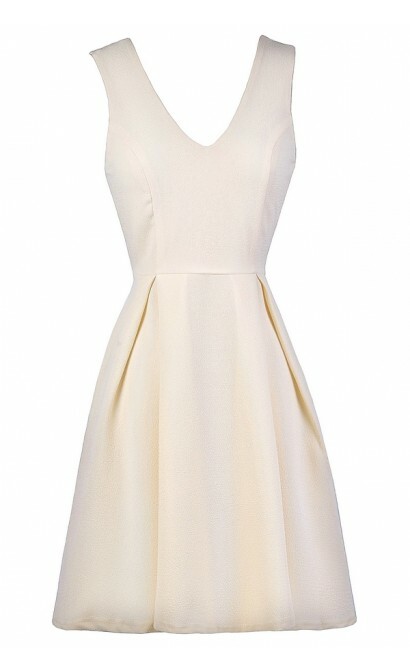 You have removed Neysha A-Line Dress in Cream as a loved product.